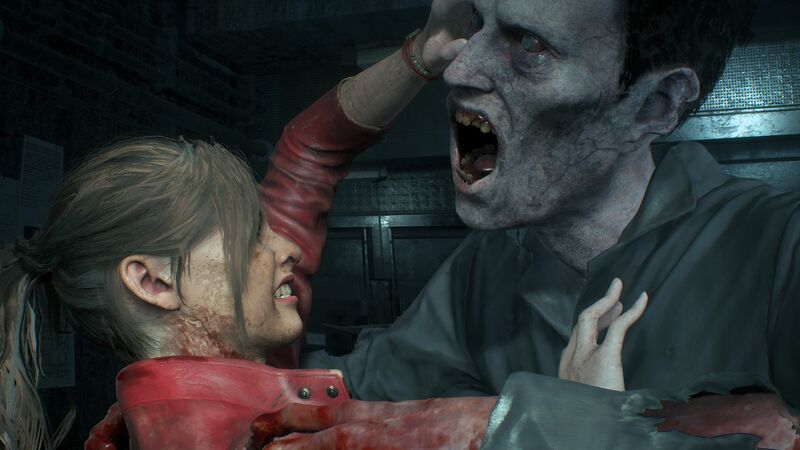 Many Resident Evil fans likely spent their weekend playing the Resident Evil 2 1-Shot Demo. While it was an exciting tease for the much-hyped game, what really got fans talking was what the new trailer debuted at the end of the 30-minute timer. In addition to showing off iconic moments like the alligator fight, it also confirmed the return of two fan-favorite characters: Hunk and Tofu. And now we know that both of their modes are returning from the 1998 original, too. In the 1998 Resident Evil 2, “The 4th Survivor” is unlocked by completing both scenarios with an “A” ranking. It stars an Umbrella agent named Hunk, who must rush through the bowels of Raccoon City in order to make it to his getaway helicopter before the city is destroyed. “The Tofu Survivor” plays out in almost exactly the same fashion, except now the spotlight is on a sentient block of tofu. While it certainly is a more comical take on Resident Evil 2, it’s also the most challenging mode in the game. Armed only with a combat knife, it’s the ultimate test for any Resident Evil player. These are only the latest elements in Resident Evil 2 to be brought back for the 21st century. We’ve previously gotten looks at the absolutely terrifying lickers and familiar faces like Ada Wong and Mr. X. Plus, for some extra nostalgia, you can even dress Claire and Leon up in their classic outfits. Resident Evil 2 will release on January 25, 2019 for the PlayStation 4, Xbox One, and PC.